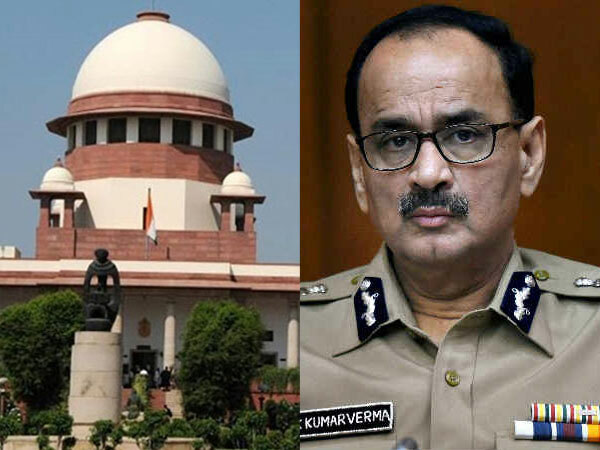 The Supreme Court on Thursday reserved its judgment on the removal of Alok Verma as the CBI director by the government following a feud between him and deputy special director Rakesh Asthana. The government had intervened after the two warring officers levelled serious charges of corruption against each other. Verma was sent on leave in October, along with his deputy Asthana. During the course of hearing on Thursday, the Central Vigilance Commission (CVC), which had received the corruption complaints, told the top court that extraordinary situations need extraordinary remedies, justifying the unprecedented move to remove the two senior officers. Chief Justice Ranjan Gogoi, however, questioned the move to remove Verma suddenly on the night of October 23 and asked why the government did not consult the selection committee, which picks up the CBI chief, before taking the action. “When Verma was retiring in few months, why not wait for few more months and consult selection committee?” the agencies quoted the Chief Justice as saying. “Government has to be fair, what was the difficulty in consulting the selection committee before divesting Alok Verma of his power? Essence of every government action should be to adopt the best course,” he said. State counsel KK Venugopal contended that if the matter had been placed before the committee, then it would have said it is not a transfer and need not be brought up before the panel. Verma’s counsel Fali Nariman had argued that it was a transfer and also divestment of power of the CBI chief. The government’s argument was that Verma was not transferred, but merely sent on leave which meant it was a temporary measure. Kapil Sibal, who appeared for leader of the opposition Mallikarjan Kharge, one of the members of the committee that selects the CBI chief, argued that the panel's approval for transfer act as a “ring fence” to protect the CBI chief from executive influence, according to the website, Live Law. During the hearing, the chief justice asked Fali Nariman if the SC had the power to appoint an interim chief if the need arises. The government remained firm on its stand that there was no need to consult the selection committee before taking the action. But the SC held that Verma had two years’ tenure and he was selected by the committee. “So if you wanted to divest him of something, why did you not consult the committee,” asked the CJI. The CVC's counsel said the watchdog had no option but to act to contain the crisis in CBI as it was accountable for dereliction of duty. But the CJI said that Section 4 of DSPE Act, which controls the CBI functioning, says CVC superintendence over CBI is restricted to probes in corruption cases.